The Rev. Kate Ann Follwell has announced her retirement as vocational deacon at Christ Church Belleville effective April 7, 2019. Bishop Michael expresses his thanks and appreciation to Kate Ann for her service both to the parish and a variety of initiatives and programs across our diocese she has been involved with. The bishop has appointed Kate Ann an honourary assistant at St. Thomas’ Belleville under the direction of the Incumbent Rev. Brad Beale. Bishop Michael is pleased to announce the appointment of the Reverend Valerie Kelly as Incumbent of Christ Church Gananoque and Church of the Redeemer, Rockport effective June 1, 2019. Reverend Valerie Kelly graduated from Queen’s University in Kingston with an Honours B.A. She then attended Western Maryland College, receiving a Master of Science degree in Counsellor Education before studying Theology at Huron University College where she received her Masters of Divinity. Valerie was ordained as a deacon in 2008 and later that year to the priesthood. She has served as an assistant curate at the Cathedral Church of St. George, incumbent of the Parish of the Rideau and most recently as priest-in-charge of Kingston North Ministries, including St. Luke’s Kingston, the Good Shepherd Mission and St. John’s Sunbury. She has been an important part of the team focused on the Church of the Good Shepherd/Habitat for Humanity partnership project. The Bishop is appointing the Venerable Bill Clarke as Priest-in-Charge of St Luke’s, Kingston, effective June 1. Bill will continue in his appointment as incumbent of St Thomas,’ Kingston. Details are still being finalized regarding a priest-in-charge for St. John’s Sunbury. Further to his earlier message of December 8, 2018, Bishop Michael is now announcing the retirement of Reverend Canon Greg Long as priest-in-charge of St. Alban’s, Odessa, effective March 3, 2019. Greg was ordained a deacon in 1999 and priested in 2000. During his ministry within our diocese, he has served as pastoral associate and youth pastor at St. Thomas’ Church in Kingston and assistant curate at Christ Church Cataraqui. Kingston North Ministries: The Church of the Redeemer, The Good Shepherd and St.John’s Sunbury In 2008 Greg was made priest-in-charge of St. Alban’s in Odessa. Greg also serves as a reserve chaplain in the Canadian Forces. Greg has enjoyed a close relationship with the Anglican Church in the Diocese of Rio de Janeiro in Brazil which has added to the ongoing relationship of our diocese with the Anglican Church in Brazil. In 2012, Greg was recognized for his ministry in support of our friends in Brazil by being made an Honourary Canon of the Cathedral in Rio de Janeiro. Blessings on Greg and the faithful service he has provided to our diocese. The bishop is pleased to announce the appointment of Rev. Noel Henry as Incumbent of St. Alban’s Odessa effective March 4, 2019. Noel will continue to serve as the Incumbent of St. John’s Bath. Both St. Alban’s and St. John’s are engaged in a shared ministry model in which the parish entities remain separate, but share a full time clergy. Noel recently received his Masters in Divinity from Tyndale Seminary. He also has a degree from Bharathiar University which is in Coimbatore (India). For two summers, Noel was part of the Camp Hyanto staff, serving as a lay chaplain and spiritual counsellor. Noel was appointed Incumbent of St. John’s Bath in November 2018. The Diocese of Huron has an immediate opportunity for the position of Stewardship and Development Associate. The Development and Stewardship Associate will assist parishes in developing and implementing effective stewardship programs, act as a resource for parishes embarking on major fundraising activities and be responsible for Diocesan fundraising initiatives. Applications should be submitted to: Jennifer McLaughlin, Human Resources Officer jmclaughlin@huron.anglican.ca. Click for further information about the position. Bishop Michael has announced that he will step away from his role as bishop in order to be present with his family and care for his wife Jeanie during a difficult health crisis. The bishop has asked retired Archbishop Colin Johnson to act as his commissary effective, January 25, 2019. Colin will temporarily assume all episcopal responsibilities and authority as commissary and will fulfill the function of the office of the bishop of the Diocese of Ontario until Bishop Michael is able to return. Bishop Michael asks that you continue to continue to offer your prayers and support for Jeanie and the healthcare team charged with her care, for their skill and gifts of healing. Bishop Oulton is pleased to announce the appointment of The Reverend Anne Moore as interim priest-in-charge for the Parish of St. Paul’s Sydenham effective December 1, 2018, until a new incumbent is appointed. Rev. Moore will provide Sunday ministry along with pastoral coverage for the parish. Anne is a graduate of Wycliffe College. She was ordained deacon in the Diocese of Toronto in 1990 & priest in 1991. Anne has served as an assistant curate at St. Hilary, Mississauga, incumbent of the Parish of Perrytown, priest-in-charge of the Parish of St. Gabriel’s, Richmond Hill, interim priest-in-charge of the Parish of Holy Family, Brampton and as incumbent of the Parish of Haliburton. She was made a canon of the Cathedral of St. James, Toronto in 2009. Anne has also served as chaplain of the Toronto Scottish Regiment, chaplain for the Toronto diocesan ACW and for 2 terms as national ACW chaplain. She is a member of the Anglican Fellowship of Prayer in the Toronto diocese and on the national committee, as well as chaplain for several AWARE conferences. Bishop Oulton is pleased to announce the appointment of Archdeacon Wayne Varley as interim priest-in-charge for the Parishes of Christ Church Gananoque and Lansdowne Front, effective January 1, 2019, until a new incumbent is appointed. Archdeacon Varley will provide administrative and sacramental ministry to the parishes. The cost of the interim ministry associated with Wayne is being directed to the New Ministry Fund of our diocese. Wayne currently serves the diocese as the Archdeacon for Ministry and Program and will continue in this role while acting as interim priest-in-charge for the churches in Gananoque and Rockport. Wayne has also served the diocese in the capacity of diocesan executive officer, interim priest-in-charge for St. John’s Portsmouth, incumbent of St. Mark’s Barriefield, incumbent of the Parish of Kitley and assistant curate at Christ Church Belleville. The Reverend Canon Greg Long has indicated his desire to retire from active ministry effective May 1, 2019. Greg currently serves as the priest-in-charge for the Parish of St. Alban’s Odessa. Greg was ordained a deacon in 1999 and priested in 2000. During his ministry within our diocese, he has served as pastoral associate and youth pastor at St. Thomas’ Church in Kingston and assistant curate at Christ Church Cataraqui. In 2008 Greg was made priest-in-charge of St. Alban’s in Odessa. Greg also serves as a reserve chaplain in the Canadian Forces. Greg has enjoyed a close relationship with the Anglican Church in the Diocese of Rio de Janeiro in Brazil which has added to the ongoing relationship of our diocese with the Anglican Church in Brazil. In 2012, Greg was recognized for his ministry in support of our friends in Brazil by being made an Honourary Canon of the Cathedral in Rio de Janeiro. Bishop Michael is pleased to announce the appointment of Rev. Canon Barbara Stewart as the Diocese of Ontario Primates World Relief and Development Fund (PWRDF) representative effective December 5, 2018. In this role Barbara will represent PWRDF in our diocese while coordinating parish representatives in engaging Anglicans across our diocese with the work of the fund. PWRDF is the Canadian Anglican agency for development, relief, refugees and justice. Bishop Michael is is pleased to announce the appointment of The Reverend Jeff O’Hare as Interim Priest-in-Charge of Christ Church, Belleville, effective December 1, 2018 until a new incumbent is appointed. Rev. O’Hare will provide Sunday ministry along with pastoral coverage and clerical leadership for the Parish. The bishop offers his thanks for the ministry of the Reverend Mike Rice as he retires. Bishop Michael asks that you hold the Rev. Lynn Mitchell, incumbent of St. George’s Trenton, in your prayers. Lynn has been elected the Regional Dean of Hastings Deanery and will facilitate monthly meetings to promote sharing and spiritual growth and act as an advocate for clergy members of the deanery. Blessings on Lynn as she undertakes these new responsibilities. Bishop Oulton is pleased to announce the appointment of Rev. Trish Miller as Interim Priest-in-Charge, effective November 13, 2018, for the Anglican Regional Ministries of North Leeds while their incumbent, the Ven. Nancy MacLeod is on sabbatical from November 13, 2018 to February 14, 2019. While Nancy is away, Archdeacon Wayne Varley will attend to any matters pertaining to the Leeds-Grenville Archdeaconry. Bishop Oulton is seeking expressions of interest for the position of Incumbent for Christ Church Gananoque and Church of the Redeemer in Rockport. The parish profiles have been prepared and clergy who might discern a call to this position are invited to contact the Bishop by email at moulton@ontario.anglican.ca. Clergy from outside the diocese are asked to ensure that they have the permission of their diocesan bishop to inquire after this position. Expressions of interest will be received until January 31, 2019. Bishop Oulton is pleased to announce that, God willing, he will ordain Rev. Noel Henry to the Priesthood on Sunday November 25 at 6 pm at St. John’s, Bath, followed by a reception in the church hall. Noel is currently Deacon-in-Charge for the Parish of St. John’s. The clergy of the diocese are required to attend with the liturgical colour being white. Please RSVP your regrets to Bishop Michael at moulton@ontario.anglican.ca. Laity of our diocese are also invited to attend. Bishop Michael is pleased to announce the appointment of The Reverend Darlene Cunliffe as Interim Priest-in-Charge of the Parish of North Hastings effective November 1, 2018 until a new incumbent is appointed. Rev. Cunliffe will provide Sunday ministry along with pastoral coverage for the Parish. Darlene is retired from the Diocese of Huron. The Rev. Jonathon Kouri announced his resignation from the Parish of North Hastings, effective September 30, 2018. Jonathon has accepted an appointment by Bishop John Chapman of the Diocese of Ottawa to St. Paul’s Anglican Church in Almonte. We are blessed and thankful for the faithful service that Jonathon has provided to the parish of North Hastings and the Diocese of Ontario since he was ordained by Bishop Michael in 2014. He served first as curate and then as the Incumbent of the parish. Priest-in-Charge for St. John’s Madoc and the Parish of Land O’ Lakes. Michael came to our diocese in 2012 and along with his incumbency in Belleville and Priest-in-Charge duties in Madoc and Land O’ Lakes, he has served and taken leadership roles on a number of diocesan committees and groups including Regional Dean, Synod Council, a member of the Finance Committee and the “Fresh Start” program. Bishop Oulton is seeking expressions of interest for the position of Incumbent for St. Paul’s Anglican Parish in Sydenham. The parish profile has been prepared and clergy who might discern a call to this position are invited to contact the Bishop by email at moulton@ontario.anglican.ca. Clergy from outside the diocese are asked to ensure that they have the permission of their diocesan bishop to inquire after this position. Expressions of interest will be received until September 15, 2018. The Diocese of Toronto has set aside $250,000 to be used to award clergy, religious, postulants and laity across Canada (with initial priority to the Diocese of Toronto) with a scholarship to fully fund the tuition for the 10 Day Palestine of Jesus Course at St. Georges College in Jerusalem, Israel. Applications will be available through Bishop Michael Oulton’s office. For this year only, 2018, the application deadline is September 30, 2018. View guidelines. All applications must have the approval of Bishop Oulton. 4-5 scholarships having a value of approximately $5000 will be offered each year until the funds are extinguished. 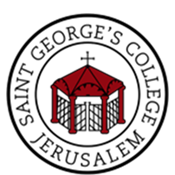 Applicants should contact St. George’s Jerusalem prior to applying to ensure there is course space during the time they wish to attend a course. Under CRA rules these funds will be taxed in the hands of the applicant. Bishop Oulton is seeking expressions of interest for the position of Incumbent for Christ Church Gananoque and Church of the Redeemer in Rockport. The parish profiles have been prepared and clergy who might discern a call to this position are invited to contact the Bishop by email at moulton@ontario.anglican.ca. Clergy from outside the diocese are asked to ensure that they have the permission of their diocesan bishop to inquire after this position. Expressions of interest will be received until August 15, 2018. Camp Hyanto is hiring for the summer camping season. Positions available are for both male and female are: Waterfront Counselors and Counselors. For more information and to apply for any of these positions please visit the hiring page on the Camp Hyanto website. Bishop Michael Oulton is pleased to announce that he has appointed Rev. Noel Henry as Deacon in Charge of the Parish of Bath effective Sunday, April 15. The Celebration of New Ministry will be held at St. John’s Church, Bath on Sunday, May 6 at 6pm. The clergy are invited to attend and vest with white being the liturgical colour for the day. Please hold Noel and the people of the Parish of Bath in your prayers as they prepare for this celebration. Bishop Michael would also like to extend his thanks to Rev. Greg Long who has served as priest in charge. Rev. Long will remain in a supportive and mentoring role for Noel. St. John’s Anglican Church in Portsmouth Village is seeking an organist/choir director. this position will be responsible for preparing music in consultation with the clergy and will direct and lead the choir at a traditional book of common prayer service, a weekly choir practice is expected. Remuneration will be commensurate with qualifications and experience and in line with the RCCO salary grid. Candidates are invited to contact Rev. Dr. Mike Michielin at portsmouth@ontario.anglican.ca or 613-542-6464 by June 15. St. John’s Anglican Church in the village of Bath is seeking an pianist or organist who would also act as the music director. The person will be responsible for preparing music in conversation with the clergy. The successful candidate will be able to lead and accompany our congregations in a blend of traditional and contemporary music styles to enhance our Sunday Worship Services and have a desire to nurture our choir. It is hoped that the candidate will also be able to hold regular choir practice. The music director will be compensated for their time. Candidates are invited contact Rev. Noel Henry: nhenry@ontario.anglican.ca or Holly Adam 2adamh@gmail.com with a resumè by March 31. For more information please call (613) 352-7464. In addition to his role as Diocesan Executive Officer, Alex Pierson has been appointed by the Bishop to the position of Diocesan Financial Officer effective January 1, 2018. In this role, Alex serves as Treasurer to the Synod and is responsible for managing the financial affairs of the Synod. He also works directly with congregations on any and all matters related to financial management and annual financial reporting. Former Finance Officer John Secker officially retired at the end of December 2017. For financial queries and matters, please contact Alex at apierson@ontario.anglican.ca or call (613) 544-4718. Diocesan Executive Officer/Financial Officer Alex Pierson is pleased to announce the appointment of Candace Hartley as the new Diocesan Financial Analyst. Candace will assist the finance department in a range of areas including financial reporting, income and expense statements, cash modelling, support of the consolidated investment fund and parish support for green sheets and consulting on financial matters. Candace can be reached at chartley@ontario.anglican.ca or by calling (613) 777-0531. Welcome to Candace as she takes on her new role with the Diocese of Ontario. St. John’s Anglican Church in the village of Bath is seeking an organist and choir director. The organist will be responsible for preparing music in conversation with the clergy. The successful candidate will be able to lead and accompany our congregations in a blend of traditional and contemporary music styles to enhance our Sunday Worship Services and have a desire to nurture our choir. It is hoped that the candidate will also be able to hold regular choir practice. The organist will be compensated for their time. Candidates are invited to send a resume and cover letter by January 31 to Rev. Noel Henry: nhenry@ontario.anglican.ca and Holly Adam 2adamh@gmail.com. For more information please call (613) 352-7464. Camp Manager: The Camp Manager is responsible for the day to day operations of the camp as well as the care and management of the campers, staff and overall facility. They provide the necessary guidance, coaching and leadership for staff; while making informed decisions that support the aims and philosophies of Camp Hyanto. From May 1/18 to August 29/18. Senior Counselor: The Senior Counselor is responsible for providing the necessary guidance, coaching and leadership for counseling staff; while making informed decisions that support the aims and philosophies of Camp Hyanto. From June 25/18 to August 29/18. Advertising and Sales Coordinator: The Advertising and Sales Coordinator is responsible for fulfilling the advertising program and developing targets and goals for advertising and sales in conjunction with the Marketing Working Group. They will recruit helpers to ensure a successful advertising and sales program, use local secular media to promote Camp Hyanto and develop working relationships with other agencies such as the Military bases, Indigenous communities and other social agencies. The Advertising and Sales Coordinator will liaise with the Hyanto Ministries Board and oversee the implementation of the advertising and sales program according to the guidelines provided by the Board. Full Job Descriptions are available by emailing hyanto@ontario.anglican.ca or by visiting www.camphyanto.com or Facebook – https://www.facebook.com/CampHyanto/. The closing date for these positions is December 15/17. Please submit applications to: hyanto@ontario.anglican.ca attention: Colleen McAlister. The Creation Matters Working Group (CMWG) of the Anglican Church of Canada is a Working Group of the Public Witness for Social and Ecological Justice Coordinating Committee of the General Synod of the Anglican Church of Canada. The group meets via teleconference every 4-6 weeks to discuss and plan environmental initiatives of interest across the ACC, to review progress regarding the 5th Mark at the national level, to report on the activities and progress in individual dioceses, to share information about important resources that are available for supporting the work at the diocesan level…[read more]. A Celebration of New Ministry for the Rev. Jonathon Kouri and the Parish of North Hastings will be held at St. John the Evangelist in Bancroft on Sunday November 26 at 5 p.m.
Bishop Michael will be celebrating and deanery clergy are expected to attend and robe. Other diocesan clergy are also welcome to attend and robe. The Rev. Kate Ann Follwell will be the guest preacher. The liturgical colour will be white. There will be a reception following the service in the parish hall. Bishop Michael Oulton is pleased to announce that, God willing, he will ordain Noel Henry as a Transitional Deacon on Sunday November 19 at 5 pm at St. George’s Cathedral in Kingston. The guest preacher will be the Rev. Canon Jerome Khelawan, Incumbent at St. Hugh and St. Edmund Anglican Church in Mississauga. All laity are welcome to attend the ordination. Diocesan clergy are required to attend the service of ordination with the liturgical colour being red. If not able to attend, kindly send your regrets to Bishop Michael at moulton@ontario.anglican.ca. The Bishop asks that you please hold Noel in your prayers as he seeks the guidance of the Holy Spirit in his new ministry here in the vineyard of the Diocese of Ontario. Bishop Oulton is pleased to announce the appointment of Canon Reg Gilbert as Interim Priest-in-Charge for Christ Church Gananoque and Church of the Redeemer in Rockport, effective November 1 until mid-December, 2017. Canon Reg was ordained as an Anglican priest in our diocese in 1980 and has served a number of our parishes along with parishes in the Diocese of Algoma and the Diocese of Ottawa. Reg also served in the Canadian Forces Chaplain Services, Regular Force and Primary Reserve, from 1981 to 2013. Reg served on a number of diocesan committees, including the Bishop’s Advisory Committee and the Canons Committee. Come mid-December, Rev. Dr. Barbara Robinson will take over the role of Interim Priest-in-Charge for Christ Church and Church of the Redeemer. Barbara was ordained as an Anglican priest in 2006 and has served as a Curate at Christ Church Belleville and Rector of St. Paul’s Brockville. She has served on the Diocesan Social Justice Committee, led congregation retreats, and taught at the annual Diocesan summer school for Lay Leaders. She attended Wycliffe College from 1985-1987 (as a Salvation Army officer) but received her M.A from the University of Manitoba and PhD. from the University of Ottawa in Religious Studies. 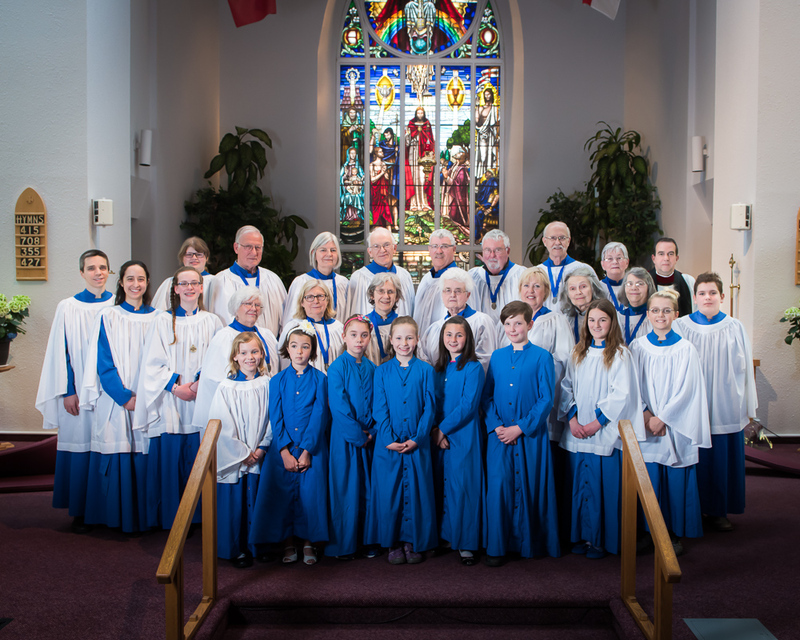 Christ Church Cataraqui, a vibrant Anglican Church in Kingston that provides services in both a historic stone church and a modern and fully accessible parish centre is seeking an experienced part time Music and Choir Director. The successful candidate will be able to lead and accompany our congregations in a blend of traditional and contemporary music styles to enhance our Sunday Worship Services. Joining you is a dedicated choir anxious to continue in their ministry and a congregation who love to sing. For a full job description please see our website www.christchurchkingston.ca. St. James Anglican Church is looking for a part-time Parish Administrative Assistant. The Administrative Assistant is the first contact for parishioners and the public and demonstrates sensitivity and tact as well as excellent communication skills. The ideal candidate has a minimum of 5 years of office experience and a working knowledge of Windows platforms coupled with the ability to maintain confidentiality, work under pressure, make informed decisions within clear guidelines and effectively deal with interruptions. The successful candidate will demonstrate a proactive approach to the position and have excellent writing and proofreading skills…[read more]. Bishop’s Commissary Bill Clarke is pleased to announce the appointment of Noel Henry as Lay Pastoral Associate of the congregation of St. John’s, Bath, effective September 1, 2017. It is the Bishop’s intention, God willing, to ordain Noel to the Diaconate later this year at which time his official designation will become Assistant Curate. Noel is a committed, faithful and enthusiastic disciple of Christ. He recently received his Masters in Divinity from Tyndale Seminary. He also has a degree from Bharathiar University which is in Coimbatore (India). For two summers, Noel was part of the Camp Hyanto staff, serving as a Lay Chaplain and Spiritual Counsellor. 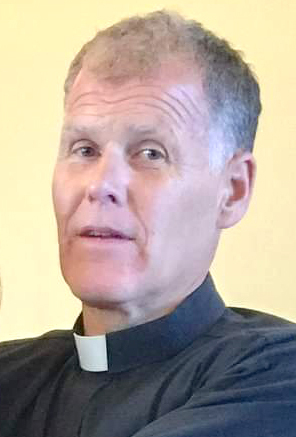 The Commissary is also pleased to appoint the Reverend Canon Greg Long as Priest-in-Charge of St. John’s commencing September 1, 2017 and continuing during the period of time that Noel serves as Lay Pastoral Associate and subsequently as Assistant Curate. I would also like to announce the resignation of the Reverend Christine Downey from the Parish of Gananoque (Christ Church) and the Parish of Lansdowne Front (Church of the Redeemer, Rockport), effective December 1, 2017. Christine has accepted an appointment to St. Mary’s Dalmahoy in the Diocese of Edinburgh, Scotland. Our diocese has been blessed and thankful for the faithful service that Christine has provided to these parishes since she came from the Diocese of Huron in 2012. She has served and taken leadership roles on a number of diocesan committees and groups, including Synod Council, Training & Development, Covenant Celebration Team and most recently Canons and Governance. Bishop’s Commissary Bill Clarke is pleased to announce the appointment of the Reverend Ada Clifton as Incumbent for the Parish of Kente (St Andrew’s, Wellington) and the Parish of Marysburgh (St Philip’s Milford and St John’s Waupoos) effective September 12, 2017. Ada attended Concordia University for her B.A. in Therapeutic Recreation and then Wycliffe College for her M. Div. graduating in 2012. Prior to ordination, she spent the summer assisting in the Parish of Parham-Sharbot Lake and Maberly. She was ordained as a Transitional Deacon in 2012 and as a Priest in 2013. Since her ordination, she has served in the Anglican Churches of Quinte West, first as Curate and then as Associate. Registrar – handle summer camp registrations, coordinate registration information and give periodic reports to the Hyanto Ministries Board, respond to registration requests. Does not require meeting attendance. Alumni Coordinator – develop a database of past campers, staff and volunteers, distribute information, keep alumni informed of on-going Hyanto Ministries events. Does not require meeting attendance. Fund raising Coordinator – coordinate fund raising efforts, communicate information about events, gather a team of fund raising volunteers, assist with planning and executing fund raising efforts. Volunteer Staff Coordinator – coordinate staff volunteers, recruit staff volunteers, assist with training of staff volunteers, receive and maintain necessary documents i.e. CPICs, Vulnerable Sector Checks, etc. St. Thomas’ Anglican Church in Belleville has paid Choral Scholar positions available for students from 15 years old and up who wish to join St. Thomas’ Senior Choir. St. Thomas’ Senior Choir is a mixed-voice ensemble, that performs sacred music from all periods, with a special emphasis on the great classical repertoire. Renaissance motets are regularly performed at St. Thomas’ Church, both for the Sunday services, and special events of the music series such as Choral Evensong, and the Festival of Nine Lessons and Carols. Scholarships vary, according to the musical abilities and experience of the students. Transportation will also be taken into account. All are welcome to apply. For more information or to set an interview, please contact the directors of music, Francine & Matthieu Latreille, at MusicAtStThomas@gmail.com or 613-962-3636. Hyanto Ministries is looking to increase our membership! We are a growing and active group that supports the work of Camp Hyanto and other children and youth work in the Diocese of Ontario. VBS, Camp Hyanto, PA Day Events, Leadership Development, Alumni, Sunday School Workshops to name a few of the projects. The work of the Board is broken into 4 sub-groups: Property, Program, HR/Staffing and Marketing/Advertising. For more information about joining one of these sub-groups please contact: Cheryl Green-Betts @ cheryl.greenbetts@gmail.com. 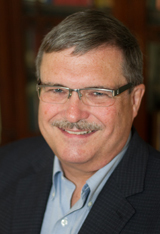 Bishop Michael Oulton is pleased to announce that the Rev. Lynn Dillabough, incumbent at St. Paul’s, Brockville, has been elected the Regional Dean for Leeds & Grenville Deanery. As dean Lynn will facilitate monthly meetings to promote sharing and spiritual growth and act as an advocate for clergy members of the deanery. Blessings on Lynn as she undertakes these new responsibilities. The Rev. Canon David Smith announced his resignation from the Parish of Marysburgh and Kente effective October 1, 2017. David has been appointed as the Incumbent of Christ Church St. James in Etobicoke. Bishop Oulton is blessed and thankful for the faithful service that David has provided to our diocese. Along with ministering to the parishes of Marysburgh and Kente he also served as Incumbent of St. Mary Magdalene, Napanee, the diocesan Stewardship and Congregational Development Coordinator, and the diocesan Screening in Faith Coordinator. David also played a significant role in our Refugee Program (DOORS). Bishop Michael Oulton would like to announce that the Rev. Richard Hetke, incumbent at St. Mary Magdalene, Napanee, has been elected the Regional Dean of Quinte. As regional dean Rev. Hetke will facilitate monthly meetings to promote sharing and spiritual growth and act as an advocate for clergy members of the deanery. Blessings on Richard as he undertakes these new responsibilities. The Celebration of New Ministry for the Rev. 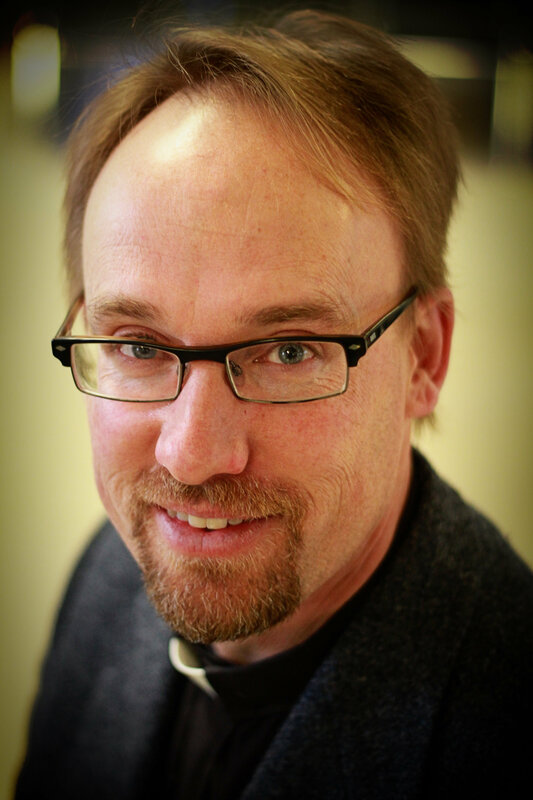 Bram Pearce will be held at St. Peter’s, Collins Bay, on Jerusalem Sunday, May 28 at 5 p.m. Bishop Michael will be celebrating and deanery clergy are expected to attend and robe. Diocesan and other clergy are also welcome to attend and robe. The liturgical colour will be white. There will be a reception following the service in the parish hall. St. Peter’s Anglican Church in Collin’s Bay is seeking an organist and choir director. The organist will be responsible for preparing music in conversation with the clergy, playing the organ at our traditional Sunday service (10 am), special services throughout the year, and leading a weekly choir rehearsal. The organist will be compensated for his/her time. The candidate should be acquainted with Anglican tradition—with a desire to nurture our choir. 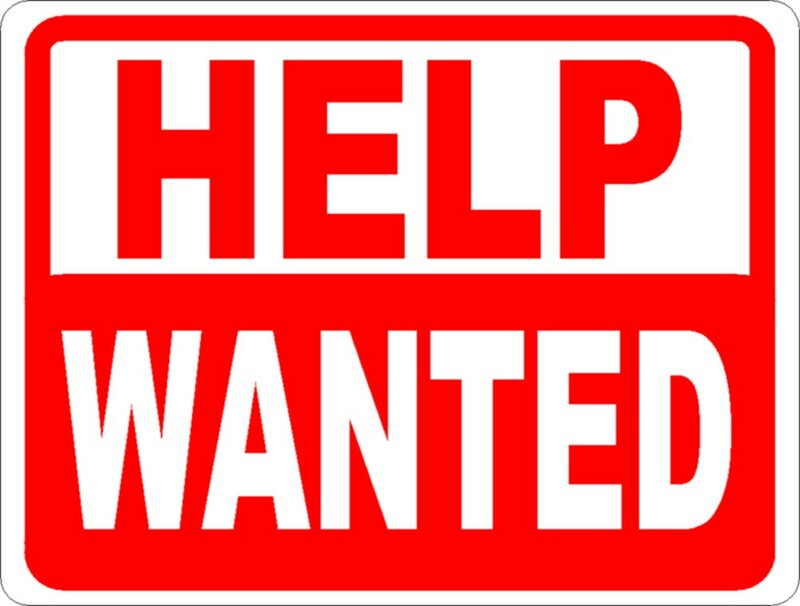 Candidates are invited to send a resume and cover letter to Rev’d Bram Pearce: bram.pearce@gmail.com by May 15. For more information please call (613) 384-1782. The interview process will also involve an opportunity to play during Sunday worship. A background check is required for this position, as well as adherence to our diocesan Screening in Faith policy. A Celebration of New Ministry will be held for the Rev. Jonathan Askwith, Incumbent of the Church of St. Andrew’s, Sharbot Lake, on Sunday March 26 at 5 p.m. The service will be observing the Feast of Annunciation. Bishop Michael will be celebrating and diocesan and other deanery clergy are expected to attend and robe. The liturgical colour will be white. A reception will follow the service. Reverend Bram Pearce has been appointed Incumbent of St. Peter’s, Kingston, effective March 27. Bram received his Bachelor of Arts degree from Trinity College (University of Toronto) and studied theology at Wycliffe College receiving his Masters of Religion in 2006. Following ordination as a Salvation Army Officer in 2007, he joined the Anglican Church and was ordained a deacon in our diocese in 2012, and priested in 2013. He began his ministry as Assistant Curate of St. John’s, Bath, before becoming the Incumbent of that parish. Reverend Sue Beare will serve as Interim Priest-in-Charge at St. John’s, Bath, effective March 27. Rev. Beare will provide Sunday ministry along with pastoral coverage for the parish. Major (Retired) the Reverend Sue Beare arrived in Kingston in 2007 by way of the Canadian Forces and is an active priest of this diocese. She is involved in veterans support groups and is a Royal Canadian Legion Chaplain. Most recently, she was Interim Priest-in–Charge of the Parish of Lansdowne Rear. The Reverend Canon Dr. David Ward will serve as Priest-in-Charge of the Parish of Newboro-Westport effective March 1. David will provide Liturgical, Pastoral and Missional ministry and important leadership for the three churches of this parish. Reverend Canon Dr. David Ward was ordained as a deacon in 1984 and to the priesthood in 1985. He has faithfully served a number of parishes in our diocese, including St. James, Kingston, as curate, Camden East with Odessa and Morven, St. Mary Magdalene, Picton, and St. Paul’s, Kingston, as Rector. He also served on a wide range of diocesan boards and committees. Since his retirement in 2009 he has served as interim in several parishes. Bishop Oulton is pleased to appoint The Reverend Nancy Beale as Warden of the Lay Readers’ Association. She will move into this position from Deputy Warden. Nancy’s passion for ministry and gained experience will provide strong leadership and spiritual direction to the Association. The Reverend Lynn Dillabough has accepted the Bishop’s appointment as Deputy Warden of the Lay Readers’ Association. Lynn is the Incumbent of St. Paul’s, Brockville. Lynn brings with her over 20 years of professional and Parish ministry experience, excelling in the ability to teach and mentor. This along with her enthusiasm, faithful ministry and strong leadership will be a blessing to the Association. Bishop Michael Oulton is pleased to announce the appointment of Mangaza Merrill as the new part-time Refugee Settlement Coordinator for the Diocese of Ontario Refugee Support Committee (DOORS). Mangaza can be reached via email at doors@ontario.anglican.ca. Welcome to Mangaza as she takes on her new role with the Diocese of Ontario. A Celebration of New Ministry will be held for the Rev. Dr. Mike Michielin, Incumbent of the Church of St. John’s, Kingston, on February 5 at 5 p.m. Bishop Michael will be celebrating and diocesan and other deanery clergy are expected to attend and robe. The liturgical colour will be green. A reception will follow the service. Steve Timpson has resigned as Incumbent of the Anglican Churches of Quinte West. He has voluntarily relinquished his license from the Bishop to function as a priest in the Diocese of Ontario and the Anglican Church of Canada effective January 8, 2017. The Bishop wishes to thank Steve for his service to the diocese. Further announcements to follow shortly. Bishop Michael Oulton is pleased to announce the appointment of the Rev. Jonathan Askwith, B.A., M.Div., as Incumbent of the Parish of Parham-Sharbot Lake (Diocese of Ontario) effective January 11, 2017. This appointment is in partnership with Bishop John Chapman of the Diocese of Ottawa, who is appointing Jonathan as Incumbent of the Parish of Maberly-Lanark (Diocese of Ottawa). Jonathan, was ordained in the Diocese of Ottawa in 2014 and has served as Assistant Curate at Christ Church Bells Corners, and Interim Priest-in-Charge of St. Luke’s, Ottawa. Jonathan has also served in diocesan youth and stewardship ministry within the Diocese of Ottawa. The DOORS coordinator is a part-time paid contract position with a commitment of 400 hours yearly and a limited budget for communication and transportation. There is a possibility of shared office space as well as meeting space available at the Diocese office in Kingston. Travel within the Diocese of Ontario should be expected as well as attending the annual SAH conference. The initial contract is for six months with the possibility of renewal. Click here for the full job description. Bishop Oulton is seeking expressions of interest for the position of Incumbent for the Parish of St. Peter’s Anglican Church in Kingston, Ontario. The parish profile has been prepared and clergy who might discern a call to this position are invited to contact the Bishop at (613) 544-4774, extension 129, or by email at moulton@ontario.anglican.ca. Clergy from outside the diocese are asked to ensure that they have the permission of their diocesan bishop to inquire after this position. Expressions of interest will be received until January 5, 2017. On Sunday, December 4, the Rev. George Kwari, Incumbent of the Parish of Parham—Sharbot Lake, announced his resignation from the Parish effective January 1, 2017. George has been appointed by Bishop John Chapman of The Diocese of Ottawa to another parish in that Diocese. Parham—Sharbot Lake is a shared ministry model with the Ottawa Diocese (Maberley—Lanark). Bishop Oulton is blessed and thankful for the faithful service that George has provided to the people of Parham—Sharbot Lake and Marberly—Lanark since 2013. Our diocese continues to be committed to the shared ministry model with the Diocese of Ottawa that has been successful with these parishes for many years now. Work will begin immediately on building the transition plan and discerning the next Incumbent who will continue to lead all these churches on their journey in faith. Diocesan Financial Officer John Secker is pleased to announce the appointment of Joyce Williams as the new diocesan accounting assistant (replacing Ruth Caswell who retired in October). In this role, Joyce works closely with the Diocesan Financial Officer to provide a multitude of financial services to our parishes. She provides the necessary support in maintaining the monthly centralized payroll system, coordinating the many financial relationships between parishes and the diocese, and satisfying the requirements of the many vendors involved in the successful delivery of our diocesan programs. Joyce can be reached at jwilliams@ontario.anglican.ca or by calling (613) 544-4774 Ext. 135. On November 20 Bishop Michael Oulton will install The Reverend Peter Case as a Canon of St. George’s Cathedral, and specifically, to the Canonry of St. Francis of Assisi. I will also install the Rev. Dr. Barbara Robinson to the Canonry of St. Hilda. Peter was ordained a priest at St. George’s Cathedral in 1980 and served as Assistant Curate at Christ Church Belleville before returning to Queen’s University to complete a Master of Business Administration. After having spent many years working in the investment industry, post-retirement has seen Peter serve on corporate and not-for-profit boards, and he is currently a Director of Fortis Inc. He is an Honorary Assistant at St. George’s Cathedral, is the Chair of the Diocesan Finance Committee and was a member of Synod Council form 2012 to 2015. Rev. Dr. Barbara Robinson was ordained as an Anglican priest in 2006 and has served as a Curate at Christ Church Belleville, Rector of St. Paul’s Brockville and is currently the Interim Priest in charge in the Parish of Lakes and Locks. She has served on the Diocesan Social Justice Committee, led congregation retreats, and taught at the annual Diocesan summer school for Lay Leaders. She attended Wycliffe College from 1985-1987 (as a Salvation Army officer) but received her M.A from the University of Manitoba and Phd from the University of Ottawa in Religious Studies. The Bishop would also like to announce that the Rev. Michael Rice of Christ Church Belleville has been elected the Regional Dean for the Hastings Deanery and will facilitate monthly meetings to promote sharing and spiritual growth and act as an advocate for clergy members of the deanery. A Celebration of New Ministry will be held for Reverend (Canon) Rod BrantFrancis and Reverend Lisa BrantFrancis on Sunday November 13 at 5 p.m. at All Saints Parish in Tyendinaga. Bishop Michael will be celebrating and clergy of the diocese are invited to attend and robe, joining with the deanery clergy of Quinte Deanery as they celebrate this new ministry. The liturgical colour will be green. A reception will follow the service. Bishop Michael Oulton is pleased to announce that he will ordain Major Trish Miller to the priesthood, and John Morrison to the vocational diaconate on Sunday November 20 at 5 p.m. at St. George’s Cathedral in Kingston. The clergy and laity of the diocese are encouraged join with Frontenac Deanery clergy to attend this celebration. Clergy are invited to vest and the colour for the day will be red. Please hold Trish and John in your prayers as they prepare for this next step in their vocation to serve Christ and His Church in mission and ministry. St. Thomas’ Anglican Church, Belleville, has two paid Choral Scholar positions available for students from 15 years old and up who wish to join St. Thomas’ Senior Choir. The choir is a mixed-voice ensemble, that performs sacred music from all periods, with a special emphasis on the great classical repertoire. Renaissance motets are regularly performed at St. Thomas’ Church, both for the Sunday services, and special events of the music series such as Choral Evensong, and the Festival of Nine Lessons and Carols. Scholarships vary, according to the musical abilities and experience of the students. Transportation will also be taken into account. All are welcome to apply. For more information or to set an interview, please contact the directors of music, Francine & Matthieu Latreille, at MusicAtStThomas@gmail.com.